Maps and charts were absolutely vital across all types of operations - land, sea and air - during the Second World War. In general, the military mapping of the Second World War followed the same pattern as the First World War, but benefited from more extensive and refined air survey, while the massive increase in wheeled motor transport and tracked vehicles led to a focus on road classification and ‘going’ information. Air navigation charts and ‘flak maps’ (showing enemy anti-aircraft defences) became vitally important, while a great technological advance in air navigation was provided from 1943 by radar-imaging (H2S) from aircraft, enabling the navigator to view on a screen, even through cloud, the ground below him. A new type of map - electronic - had been created. Below are 13 maps from IWM’s extensive map archive, which holds many British operations maps covering all theatres in which British forces fought, as well as captured German military maps. You can also read more about maps in the Second World War in Peter Chasseaud’s book, Mapping the Second World War. This British wartime reproduction of a German situation map depicts German thrusts in blue, red and green, and shows the Dunkirk area with Allied positions added by the British. The Germans were now pushing the British back on Dunkirk, capturing Boulogne on 25 May and Calais on 26 May 1940. The crisis in France and the Low Countries developed after the Germans crossed the Meuse on 13 May and smashed through the main French defence on 15 May. Following the German breakthrough at Sedan and their continued advance, the Germans drove west to the Channel, aiming to divide the British in the north from the French. They reached the old Somme battlefield, south of Arras, on 18 May. By 20-21 May, German forces were smashing through to Abbeville and the English Channel. They then began to strengthen and widen their 'Panzer corridor', fighting off an Allied counter-attack at Arras on 21 May. Operation 'Dynamo', the evacuation of British and Allied troops from Dunkirk, lasted for ten days at the end of May and beginning of June 1940. Following the evacuation of British forces from Dunkirk, the Germans intended to defeat the Royal Air Force, following which they would invade the United Kingdom. Planning maps were prepared by the German 16th Army (AOK 16) showing concentration areas in France and the Low Countries for the forces detailed for Operation 'Sealion' - the invasion of Britain - their routes to and across the English Channel, and their lines of advance in southern England. The Germans planned for landings from Dover to Dorset and, once these bridgeheads had joined up, to advance to and capture London and the area south of a line from the Bristol Channel to the Wash. In the event the Luftwaffe was defeated in the Battle of Britain and the operation never took place. This German bombing target map of London's docks in the Blitz depicts destruction in green. The London Blitz, which began during the Battle of Britain, started in September 1940 and continued into 1941. London’s docks and the East End suffered badly. The code-name 'Sea Serpent' was probably derived from the sinuous shape of the River Thames as seen from the air and as shown in plan on maps. With the German attack on Russia imminent from mid-1941, air attacks on Britain diminished as Luftwaffe formations were transferred eastwards. The British stopped General Rommel’s drive for Egypt in the summer of 1942 at Ruweisat, near Alamein, and General Montgomery launched his great counter-offensive at Alamein on 23-24 October. This planning map provides a wealth of information, showing the Axis (Italian and German) defensive positions and British defence and logistical organisation, as well as British forces poised to attack, their objectives and the development of the attack. Crucial features of the operation, which involved several distinct phases, were the provision of clearly marked tracks (Sun, Moon, Star, etc.) to bring the assault troops up to their start lines and aid in the clearing of lanes through minefields for troops to advance to engage the main Axis forces. Following the rapid advance to the Caucasus and Volga by German forces and supporting formations of her Axis partners in the summer and autumn of 1942, the Red Army launched Operation 'Uranus' in mid-November 1942, a pincer attack to cut off General Friedrich von Paulus's Sixth Army, which was heavily engaged at Stalingrad on the Volga. The operation was intended to 'crumble' the weaker Romanian divisions holding the shoulders of the Stalingrad salient, and this situation map shows the success of this Soviet operation in the sectors to the north-west and south of the city. Axis forces (Army Group B: Sixth Army and Fourth Panzer Army) are shown in blue and Soviet forces in red. The German defeat at Stalingrad forced a withdrawal to west of Kharkov and an evacuation of the Caucasus. On 24 December 1942, the Soviets attacked the German Fourth Panzer Army, and in January-February 1943 the Russian offensive continued, capturing Kharkov in mid-February. But the Germans recaptured Kharkov and Belgorod in March, leaving the Russians holding the huge Kursk salient. Map of the Russian battlefront, August 1943, published in the United Kingdom by the Serial Map Service, showing the German July 1943 Kursk Offensive and the Soviet counter-offensives and subsequent advance. The main map shows the German offensive, which began on 5 July 1943, in blue, and the Russian counter-offensives are shown in the insets (Soviet forces in red). The German failure at Kursk was, after Stalingrad, the turning point of their campaign on the Eastern Front. It was followed by smashing Soviet counter-strokes at Orel to the north and Kharkov to the south. The Germans were now about to begin their long retreat to Berlin. Since the beginning of the war, the Submarine Tracking Room in the British Admiralty’s Operational Intelligence Centre in London had been plotting the positions of U-boats from a multiplicity of intelligence sources, including agent reports; aerial reconnaissance and photography; radio traffic-analysis including DF (direction-finding) intersections; and decrypted messages. This U-boat plot of the Atlantic-Biscay area, covering the period from 1-20 July 1943, includes sinkings by United States Liberator aircraft. 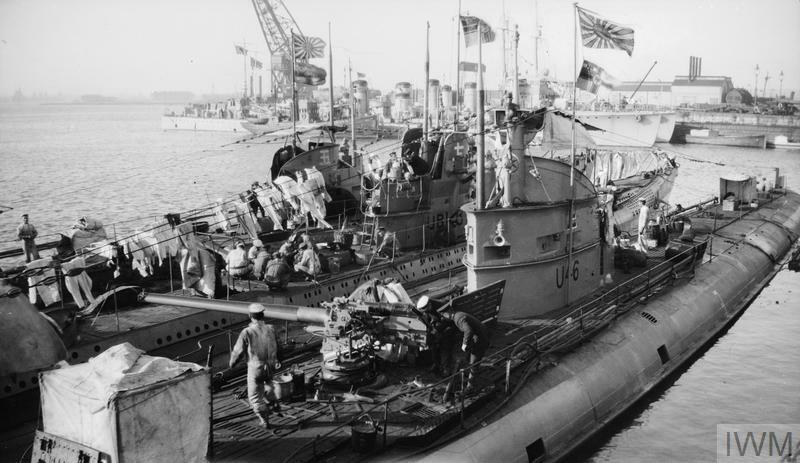 The worst year of the U-boat war for the Allies was 1942, but by the end of the year they were gaining the upper hand. By May 1943 better escorts and tactics, the closing of the 'air gap' and Enigma decrypts had defeated the U-boats. U-boats crossing the Bay of Biscay on the surface, to and from their bases on the French coast, were increasingly vulnerable to air attack, as this plot demonstrates. Sea area Finisterre is now called Fitzroy. Dresden was heavily raided by the Royal Air Force and the United States Army Air Force on 13-14 February 1945, partly to help the Russians advancing from the east. This vertical air-photo-mosaic is paired with a coloured overlay depicting the destruction to the city. Red outline: fully built-up; green outline: residential 40-70% built-up; black outline: industrial areas; dark blue areas: destroyed or badly damaged. This map was prepared to assist planners in choosing the best locations for amphibious landings between Den Helder (Holland) and the River Loire. The Normandy (Caen) sector was selected. This was one of several maps, printed in London by 13 Map Reproduction Section RE, included in a map-dossier appended to Lieutenant-General Frederick Morgan's D-Day planning document in July 1943 - maps to accompany planning document for the 1944 invasion of France. Morgan and his staff prepared their first planning documents and maps to be discussed at the Quebec (Quadrant) Conference in August 1943. The deception formation First United States Army Group (FUSAG) is still shown in south-east England. Apart from the main military deployment and operations, this map shows later manuscript additions for French resistance activity (red hatching), eg. in the Normandy-Brittany area, including 'Sabotage' and 'Terroristen' - for example, SOE and resistance group activity. The map also shows the German Operation 'Vercors' against the Maquis on the Vercors Plateau, and before the Anvil/Dragoon landings in the south of France. This map shows the Ruhr Pocket (1-18 April 1945), which after the Allied advance in the west following the Rhine crossings in March 1945 was left isolated behind the advancing Allied front line. The Western Allies were now moving eastward to the Elbe to meet the Russians, who were moving around and into Berlin. US forces came face-to-face with the Russians at Torgau. After the Battle of Midway in 1942, the Americans launched their 'offensive-defensive' Pacific strategy, with axes of advance westward across the south and central Pacific. In February 1944 they landed in the Marshall Islands, and in June defeated the Japanese at the Battles of the Philippines Sea and Marianas. This map shows Allied thrusts - in red - in the centre and south through the Marshalls, Gilberts, Carolines, Solomons and New Guinea. In the north the Americans moved through the Aleutians. The United States dropped an atomic bomb on Hiroshima on 6 August 1945, and on Nagasaki on 9 August. This target map of Hiroshima shows concentric circles at 1,000 feet intervals from A-bomb aiming point. Scale 1:12,500. The use of radio waves to detect objects beyond the range of sight was first developed into a practical technology by British scientists and engineers in the 1930s. This new equipment, known as radar (‘radio detection and ranging’), would play a major role during the Second World War and in subsequent conflicts. 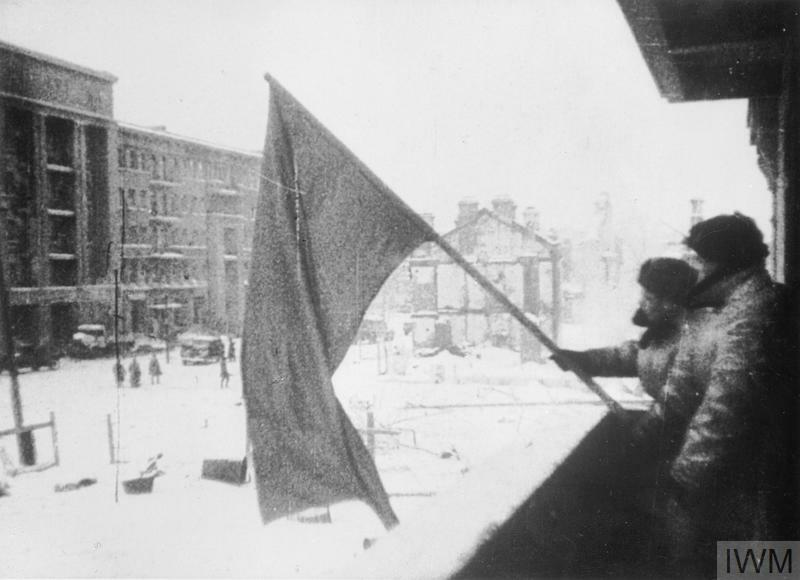 Stalingrad was one of the most decisive battles on the Eastern Front in the Second World War. The Soviet Union inflicted a catastrophic defeat on the German Army in and around this strategically important city on the Volga river, which bore the name of the Soviet dictator, Josef Stalin.